Claudio Ranieri to walk out at Stamford Bridge as Champion twelve years on? Leicester City face Chelsea at Stamford Bridge on the last day of the Premier League season. It could be the day Claudio Ranieri and his Leicester team are crowned as Champions twelve years after he said goodbye to the Chelsea faithful. I saw the headline in the press yesterday "Marcel Desailly believes that Claudio Ranieri's title charge at Leicester was revenge for his sacking at Chelsea" and thought that he could not be further from the truth. I hope he wins the Premier League. I have great affection for "The Tinkerman" as he used to be called at the Bridge and would even go as far as saying that I would welcome him back if he was interested. 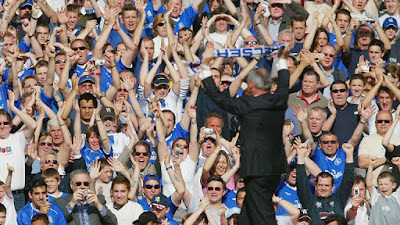 People forget just how far he took our club before Jose Mourinho took over in 2004. In his first season 2000-2001 we finished sixth and qualified for the UEFA Cup as it was back then. 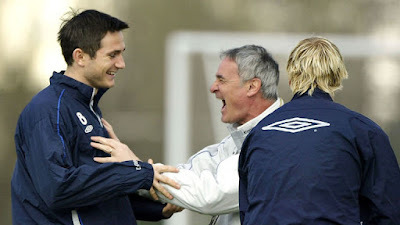 The following season 2001-2002, Claudio Ranieri signed Frank Lampard, William Gallas, Emmanuel Petit, Bolo Zenden and Jesper Gronkjaer spending around £30 million and Chelsea finished sixth once again but reached the FA Cup Final losing to Arsenal 0-2. With the club strapped for cash in the 2002-2003 season, the only signing the club made on a free transfer was Enrique De Lucas but brought through youngsters including a certain John Terry, Robert Huth and Carlton Cole. Despite the lack of signings, Ranieri guided Chelsea to fourth place and qualification for the Champions League beating Liverpool on the last day of the season. In the summer of 2003-2004 Roman Abramovich bought Chelsea and provided Chelsea with what seemed like an endless pot of money for Ranieri to bring in players. 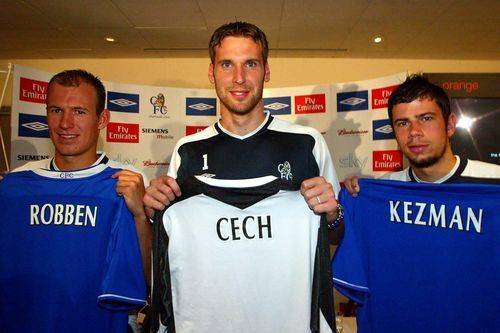 We all remember as the club spent over £120m that season. He signed Damien Duff, Wayne Bridge, Joe Cole, Glen Johnson, Juan Sebastien Veron, Hernan Crespo, Adrian Mutu and most importantly of all Claude Makelele astonishingly from Real Madrid. Chelsea finished second that season, only to be beaten by the Arsenal 'Invincibles' that year. We got our revenue in the Champions League however as we were eventually beaten by Monaco in the semi-finals. As he was preparing for another season at the club before Mourinho was considered, Claudio Ranieri also identified Petr Cech, Didier Drogba and Arjen Robben as our next signings that summer and had completed the moves apart from Drogba but then it all ended as he was sacked and replaced by Jose Mourinho and the rest is history. People give a lot of credit to Jose Mourinho for taking us that additional step we needed to win the title for the first time in 50 years and the subsequent period of dominance that followed but it's plain to see that equal credit should be given to Ranieri for bringing those listed above that made such an important contribution to the history of our club. Jose only added three or four players in that first season to an already strong squad that the Italian had left behind. 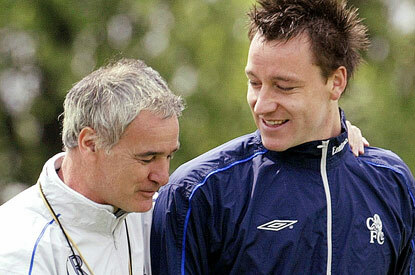 "Remember, Ranieri should have won the Premier League with Chelsea in 2004, but lost out to Arsenal’s Invincibles. That was actually Chelsea’s year, too, but because Arsenal went unbeaten he got sacked for ­Mourinho. Now, he has got his revenge. Mourinho got sacked after losing to him 2-0 and he’s going to go on and win the league." 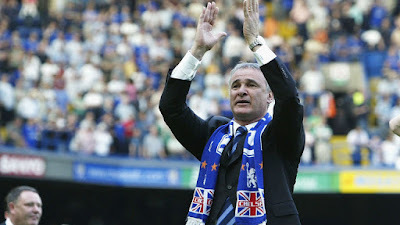 Throughout the rumour and speculation about his future in those final months at Chelsea, Ranieri remained dignified and professional throughout and who could forget his last game at Stamford Bridge. I admit, I didn't want him to leave us after what he had done for us to that point. As with life in general, time moves on and in football it's the same. Managers and Players come and go but the club always remains. Ranieri just moved on from Chelsea despite openly admitting he would always hold us in his heart. There was no bitterness then like I do not believe there is now. It's clear that his man management style is excellent because he always seems to get the best out of his players or at least performances better than previously demonstrated. He loves the game and is never afraid to show his emotions as we remember his celebrations with the players on the pitch at Highbury after Wayne Bridge scored to dump Arsenal out of the Champions League. His is such an infectious person. 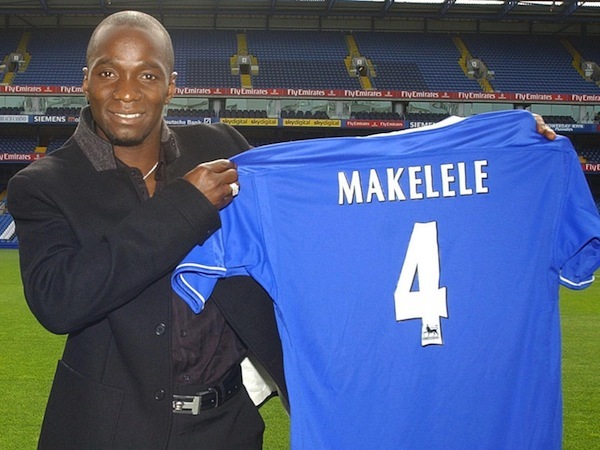 Finally to what he has achieved in such a short space of time at Leicester. Many people highlight the fact that their rise came towards the end of last season as Nigel Pearson took them on a fantastic run that steered them clear of relegation. It's one thing to do that but another to take them to the top of the League in my opinion. Leicester City this season are a demonstration of a team that plays for each other and for their manager. They enjoy their football and work hard, reaping the rewards with Jamie Vardy and Riyad Mahrez both up for player of the year awards (Whether they hold onto them is another thing!). He has got his tactics spot on this season recording some big, big wins along the way and it's a credit to him. I really do not believe there is anything of feelings of revenge as far as Ranieri is concerned as all he wants to do is look after his players and do the best for his club. 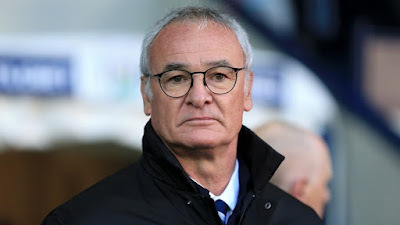 You have to ask yourselves what would of happened to Chelsea if Claudio Ranieri remained in charge through the last decade at the club and if he would have been as successful as the managers that followed him? 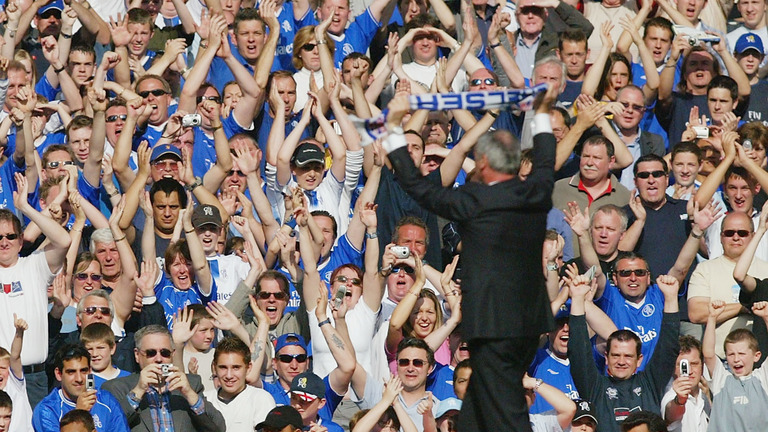 So to the final day of the season and if Leicester do win the Premier League, Ranieri would receive the same reception he received at the Bridge twelve years ago as he waved goodbye to the Chelsea faithful. What a fantastic tribute to the man that started it all!